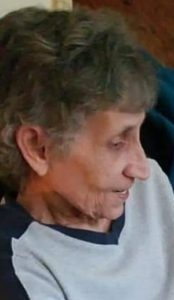 Georgeanna C. Yarnall, 67, of Mountville, passed away on January 20, 2019 surrounded by her loving family. She was born in Lancaster, to the late Maribel (Phenneger) and Carl E. Sweigart. She was the loving wife to Harry A. Yarnall III for over 50 years. In addition to her husband, Georgie is survived by her children: Tricia Devlin of Lancaster, Erica Yarnall (William Yellets) of Columbia and Harry A. Yarnall IV (Shelly) of Lancaster; her grandchildren: Jacqueline, Kayla, Gabrielle, Devon, Brendon (Kelsey) and Savannah; her great-grandchildren: Taven, Selena, Kayden, Rayna and Bentley; her siblings: Ross Wangner (Susie) of Alabama, Carl Sweigart of Lancaster, David Sweigart of Manheim, Bill Sweigart of Newville, Doris Martin of Mountville, Faith Kelsey (Donald) of Lancaster and Dawn Fisher (Eli) of Newmanstown as well as several nieces and nephews. She was preceded in death by her brother, Robert Wangner. Friends and family will be received on Thursday, January 31, 2019 from 6-7PM with a time of sharing at 7PM at Charles F. Snyder Jr. Funeral Home & Crematory, 3110 Lititz Pike, Lititz. Interment will be private at the convenience of the family. In lieu of flowers, please make contributions in Georgie’s memory to Hospice and Crematory, 685 Good Drive, Box 4125, Lancaster, PA 17604. We are Sorry for the loss of Georgie. Our heartfelt condolences to you and your family. Elda Sweigart and John Sweigart Jr. Heaven has gained another angel. We are sorry for the loss of Georgeanna. She brought many smiles to us as she greeted us at Leisure Lanes. May God be with her family & friends through this difficult time. Rest in Peace Georgeanna as your smile and loving heart will be greatly missed. Fly High! Harry, I am so sorry to hear of the loss of your wife. May she rest in peace and may the peace of the Lord be with you and your family.